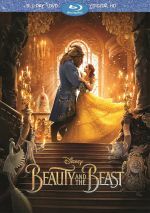 To save her imprisoned father, Belle offers herself to the Beast instead, unaware her captor is actually an enchanted prince. When Disney put out a live-action remake of Alice in Wonderland, it did good business and launched a new trend. Through 2016, the studio then produced four more films in this vein, and except for Pete’s Dragon, all of them turned into hits. None of which prepared anyone for 2017’s Beauty and the Beast. The four successful live-action remakes all made US receipts in the $200 million to $300 million range, but Beast blew away those totals. It topped out over $500 million in the US and cruised past the $1.2 billion mark total worldwide. So don’t expect Disney to bail on live-action remakes anytime soon. The 2017 Beast follows the same story as the 1991 original, and it starts with a prologue that tells us how a handsome but arrogant young prince gets physically mutated into a beast. An enchantress gives him a specific period of time in which he must find true love, an idea that seems far-fetched given his furry appearance. As part of the deal, all of the prince’s servants got turned into household objects, and the group appears destined to live out their lives in unusual forms. The film then moves ahead a few years and lands us in a small French village. There we meet Belle (Emily Watson), an intelligent, lively and beautiful young woman who feels constricted among the narrow minds in her provincial town. Town hunk Gaston (Luke Evans) sets his romantic sights on Belle, largely because none of the other women seem quite as lovely as she. However, Belle feels no interest whatsoever in the crude, crass, and self-absorbed lunkhead. On the way toward a market to sell his wares, Belle’s toy-maker father Maurice (Kevin Kline) gets lost and then attacked by wolves. Out of desperation, he ends up at a gloomy castle, where the Beast (Robby Benson) holds him captive. Maurice’s horse Phillippe manages to gallop back to the family home, where his presence alerts Belle that a problem occurred. Belle sets out to find Maurice, and when she does, she strikes a deal with the Beast: to spare her father, she trades places with him. The castle’s staff – as highlighted by Cogsworth (Ian McKellen), Lumiere (Ewan McGregor), and Mrs. Potts (Emma Thompson) – all hope that she will be their master’s true love. This will turn them human again, but they need to coach Beast through a rough start to set the pair on the path to romance. The remainder of Beast essentially follows this road, as complications ensue due to the actions of Gaston. He still wants Belle, and unless she marries him, he’ll get Maurice tossed in the loony bin. This threat ruptures the Belle/Beast romance and threatens the affected characters’ return to human form, as Belle doesn’t know they’re under some time pressure. Indeed, Belle isn’t aware that the Beast is human and everyone will turn back if the couple falls in love. When I mentioned earlier that the 2017 Beast followed the same story as the 1991 version, I meant that pretty literally. If you compare the synopsis above to the one in my review of the animated edition, you’ll see they’re nearly identical, as the 2017 film does little to deviate from the prior flick’s template. Because of that, I skipped the 2017 Beast during its theatrical run. I loved the 1991 film and just couldn’t muster the energy to see what appeared to be such a close remake. 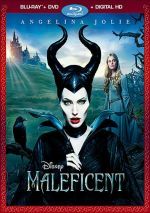 Whereas movies like Maleficent and the live-action Alice in Wonderland tried to do something different with their stories, the 2017 Beast’s advertising made it look like a carbon copy. Did the trailers lie? Not really – while the 2017 film expands on the source, it still offers a fairly close remake. That restricts its appeal, as I think the 2017 Beast should do more to become its own movie. As noted, the prior Disney live-action efforts managed to reflect the animated efforts, but they still turned into new experiences. That becomes much less true with Beast, as it feels more like an “extended cut” of the original. That’s because the 2017 film runs 45 minutes longer than the 1991 flick. The extra running time means new sequences – or more typically, scenes that get additions in the 2017 version. For instance, our introduction to the Prince goes longer here. In the 2017 film, he hosts a party, so we see some of that event before the beggar woman enters the tale. We also eventually spend some time with the Prince as a young man, learn about Belle’s childhood and get a few new songs. Other sequences simply expand production numbers and other scenes. Songs go longer – like “Gaston” – and get different/added dialogue. Additional aspects of the 2017 Beast alter elements from the original. As depicted here, Maurice offers a much more down to earth character. Whereas he seemed like a scatterbrain in the animated film, the live-action Maurice becomes much more “normal”. That choice leads to a few changes in the story. For example, the animated Gaston dealt with Maurice’s claims of a Beast in a different manner, and this creates an alternate story branch not in the original - even if it still comes back Maurice’s threatened imprisonment anyway. All of these factors give the 2017 Beast a mildly different spin on the material, but I don’t think it’s enough. The 2017 film just seems so similar to the original that I don’t get its appeal. Though the movie includes a good cast, I don’t feel especially impressed with them here, and Watson leads the list. To be honest, I think she peaked as an actor around 2002. Watson did very well as a child in the first couple of Harry Potter films, but I don’t feel she managed to grow as a performer over the years. The Hermione we saw in 2011 was pretty much the same one we saw in 2002, and I don’t get the impression that Watson boasts much dramatic range. Because of this, Watson’s Belle feels like a minor riff on Hermione. Belle seems a little less smug, but as played by Watson, she feels like a branch on the Hermione tree, and she fails to bring much verve or personality to the role. The animated Belle showed much greater dimensionality and intelligence than Watson’s bland take. The others do better, though Evans seems too intelligent and too small for Gaston. He can’t quite imbue the character with the necessary sense of moronic self-importance, and for a guy supposed to be “roughly the size of a barge” – he offers pretty average proportions instead of the superman we need. Stevens proves able but forgettable as Beast. While he fares better than Watson, I don’t think he adds much personality to the role – no, he doesn’t impersonate Robby Benson from the animated version, but he also can’t make the part his own. The same goes for the castle staff, most of whom do essentially seem to imitate the cast from the 1991 version. That seems like a mistake – if you hire actors as talented as Thompson, McKellen and McGregor, why not let them forge their own takes on the roles? Which comes right back to the film’s biggest flaw: it gives us very little I could call “new”. On its own, Beauty and the Beast creates a reasonably likable experience, but it never creates it own identity. That leaves it as a lackluster recreation. Beauty and the Beast appears in an aspect ratio of approximately 2.40:1 on this Blu-ray Disc. This became a satisfying image. Sharpness worked well. Virtually no softness crept into the image, so the flick offered fine clarity and delineation. I saw no shimmering or jaggies, and edge haloes failed to appear. Print flaws also stayed away from this clean presentation. As for the palette, it showed a teal and orange tendency, but the different settings allowed for a variety of other hues as well. These came across as peppy and vivid. Blacks looked dark and deep, and low-light shots seemed smooth and clear. I felt pleased with the transfer. In terms of the film’s DTS-HD MA 7.1 soundtrack, it opened up matters on a number of occasions. The movie boasted a smattering of action sequences – like wolf attacks – and those used the different channels in an engaging, dynamic manner. A few other scenes added some pizzazz as well, but most of the movie stayed with general atmosphere. Music showed nice delineation, and effects continued to display appropriate placement and movement. Much of the film lacked a lot of ambition, but the soundscape suited the story and became more immersive when appropriate. Audio quality appeared good. Speech remained distinctive and concise, and music sounded robust and full. Effects demonstrated nice clarity and showed solid oomph when necessary. I felt pleased with the soundtrack. When you start Beast, you encounter three options. One just allows you to play the movie, while another offers it with an overture. It adds three minutes, six seconds of score at the film’s start and becomes a mildly appealing extension. The third choice presents Beast in Sing-Along Mode. As expected, it provides song lyrics as the movie runs. As expected, it’s not really better than simply using subtitles. Enchanted Table Read lasts 13 minutes, 31 seconds and provides comments from director Bill Condon and actors Emily Watson, Luke Evans, Josh Gad, and Dan Stevens. Mostly we see shots of the cast as they run through the script, though some grander sequences appear, such as ones that rehearse production numbers. I like this look at the table read. We learn about sets and locations, cast and performances, adapting the animated film and new songs, and visual effects. A smattering of good details emerge – especially when we see how the production created the Beast – but too much of “Tale” seems fluffy and superficial. With The Women Behind Beauty and the Beast, we get a five-minute, 17-second reel with info from Watson, Greenwood, Condon, set decorator Katie Spencer, costume designer Jacqueline Durran, casting director Lucy Bevan, and editor Virginia Katz. They give us basics about their jobs and their experiences in the film industry. Expect a short, puffy overview. Finally, From Song to Screen takes up 13 minutes, 26 seconds and features Watson, Condon, Greenwood, Gad, Durran, Evans, Stevens, and choreographer Anthony Van Laast and lighting directors Peggy Eisenhauer and Jules Fisher. This collection looks at aspects behind the creation of four movie songs. Despite its relative brevity, “Screen” manages to produce a decent set of details. Next we get an extended song. Including a Condon intro, “Days in the Sun” fills four minutes, eight seconds. As Condon explains, they needed to reshoot parts of the scene, so this becomes both an alternate version and an extended one. It’s interesting enough to see. Eight Deleted Scenes occupy a total of six minutes, seven seconds. At one minute, 43 seconds, “Gaston Courts Belle” is easily the longest of the bunch and the only one with any real substance. Not that it tells us anything we don’t already know, though, so it feels superfluous. The other five offer short additions to existing scenes, with an emphasis on the climactic battle among the castle staff and the villagers. These offer moderate fun – and a short cameo from Stephen Merchant as Monsieur Toilette, who otherwise fails to appear in the final film. The “Scenes” can be watched with or without an intro from Condon. He chats for a mere 16 seconds and doesn’t have time to say much. Making a Moment with Celine Dion runs three minutes, 24 seconds. She diid the pop version of the title song in 1991 and discusses her involvement in the 2017 version. Given how much she discusses her dead husband, it’s a darker chat than expected, but it’s not especially informative. After this we get a music video for “Beauty and the Beast” by Ariana Grande and John Legend. As a song, it’s probably better than Dion’s pop take from 1991, but it doesn’t wow me. The video offers a fancy version of the movie clip/lip-synch genre – it’s watchable but not memorable. Making the Music Video lasts two minutes, seven seconds and features Legend and Grande. They don’t really tell us much. For a search option, Disney Song Selection lets you quickly go to any of the movie’s 12 tunes. It’s a harmless addition. The disc opens with ads for Cars 3 and Descendants 2. Sneak Peeks presents the same promos. No trailer for Beast appears here. A second disc presents a DVD copy of Beast. It includes the music video but lacks the other extras. While 2017’s Beauty and the Beast became the highest—grossing Disney live-action remake to date, I don’t think it offers the strongest creative experience. The new version offers a fairly literal reworking of the animated original and doesn’t bring much new to the table. The Blu-ray provides excellent picture and audio but supplements seem lackluster. Beast offers decent entertainment but it doesn’t match its predecessor.